ROME (CNS) — The head of the Ukrainian Catholic Church called on the international community to “stop the aggressor” in Ukraine’s “forgotten conflict” and help the 1 million children in need of urgent humanitarian assistance. “I am appealing to the international community to defend Ukrainian children, victims of war, keeping in mind that in our country we are experiencing a humanitarian emergency in Europe that has not been experienced since the Second World War,” said Archbishop Sviatoslav Shevchuk of Kiev-Halych, head of the Ukrainian Catholic Church. Despite efforts the past three years, a “stable cease-fire” has never been achieved, “therefore, we ask international organizations to continue diplomatic approaches to stop the aggressor and end the war so that true peace can be reached,” he said in a written statement received by Catholic News Service Feb. 22. 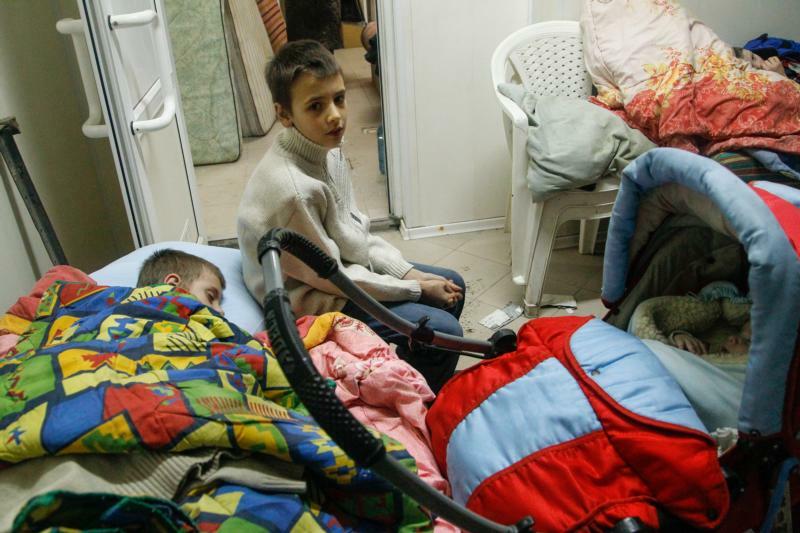 The archbishop made the appeal after UNICEF released report Feb. 17 saying that 1 million children in Ukraine were in urgent need of humanitarian aid — nearly double the number of kids in need the same time last year. The increased numbers were due to the ongoing fighting and deteriorating economic situation of families, loss of housing and reduced access to health care and education, the report said. One in five schools in eastern Ukraine have been damaged or destroyed. “Hundreds of daily cease-fire violations put children’s physical safety and psychological well-being at risk,” the UNICEF report said. Thousands of children face the danger of landmines and unexploded ordinance as well as active shelling in their neighborhoods, it said. “Teachers, psychologists and parents report signs of severe psychosocial distress among children including nightmares, aggression, social withdrawal and panic triggered by loud noises,” it said. In his appeal, Archbishop Shevchuk said the Catholic Church has a moral obligation to speak up for the voiceless, particularly the children. Meanwhile, Archbishop Bernardito Auza, permanent observer of the Holy See to the United Nations, told the U.N. Security Council during an open debate Feb. 21 that “all necessary steps should be taken to enforce the cease-fire and to implement the measures agreed upon” for Ukraine while respecting basic human rights and international laws.